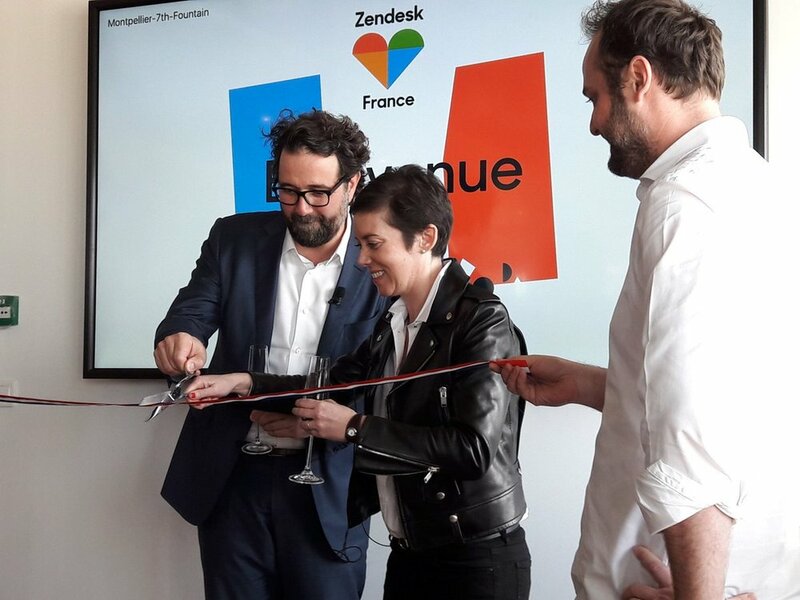 We are thrilled to announce the launch of the Zendesk Neighbor Foundation as part of the official office opening in Montpellier, France. As the team moves into a new office, we took the opportunity to reinforce our commitment to the local communities. In Montpellier, the centerpiece of our CSR efforts is going to be focused on our Diversity and Inclusion efforts. As part of this, our CEO and the whole Zendesk Executive Team have signed a pledge called #jamaissanselles (#NeverWithoutHer). In signing this pledge, our CEO, Mikkel, has committed to either decline speaking engagements (panels, roundtables, workshops, etc.) when no other women are on the speaking slate, or to require that women be added to the speaking opportunity before committing himself. Rachel Delacour, GM of Explore and the head of our Montpellier office, is pioneering this effort and has said the pledge has had a positive impact for women in the French tech community. Additionally, we are partnering with La Bulle Bleue, an organization that employs persons living with disabilities. In addition to building employment opportunities for people living with disabilities, the organization also addresses the problem of isolation that adults with disabilities often face when there is not viable programs available to them. Zendesk is committed to using La Bulle Bleue catering for 75% of all Zendesk events. We are also partnering with FACE Herault, a business association in Montpellier that focuses on social inclusion, primarily in the tech center. The organization drives this inclusion by bridging the technical divides that exist throughout society. Along with this, we will be partnering with Up To, a year-long coding program focusing on underrepresented populations, such as women and individuals from disadvantaged neighborhoods. With the launch of the Foundation and through these key partnerships, we are committed to granting at least $30,000 USD to local non-profits in Montpellier in 2017. Additionally, we set a goal of providing at least 500 hours of volunteer services by the employees. We are thrilled to expand our work into Montpellier and continue to be a good neighbor!